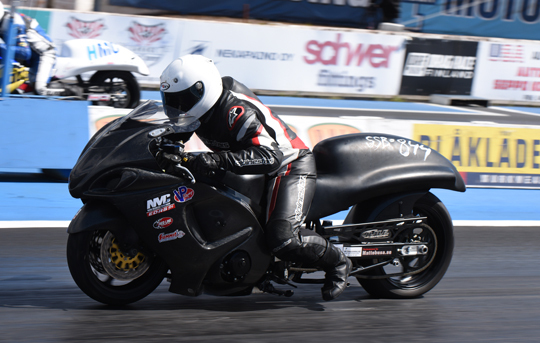 After the rain hampered first day of qualifying, that reduced the number of qualifying runs to only one, day two was great with cool air and sunshine. 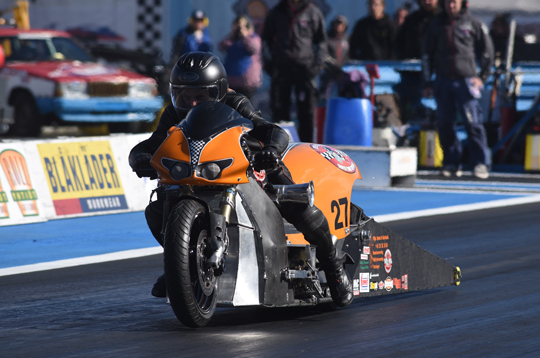 Thus all EDRS Pro Nordic Motorcycle Championship classes could complete the two scheduled qualifying sessions. Although there were many improvements in the elapsed times and several changes in the qualifying positions, the Friday leaders remained their positions and were still the number one qualifiers at the end of day two at Alastaro. 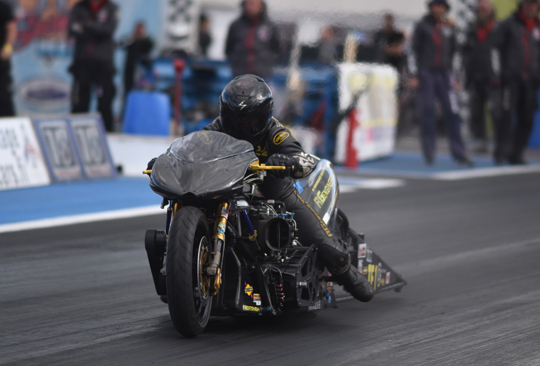 In Super Twin Motorcycle Marcus Christiansen couldn’t improve on his Friday performance, but the 6.418 seconds from Friday qualifying was enough to remain the number one qualifier after three runs. Samu Kemppainen improved to 6.61 seconds and closed the gap to the leader. There was a major improvement for Svein Olaf Rolfstad and the Norwegian rider jumped into the number three qualifying position. 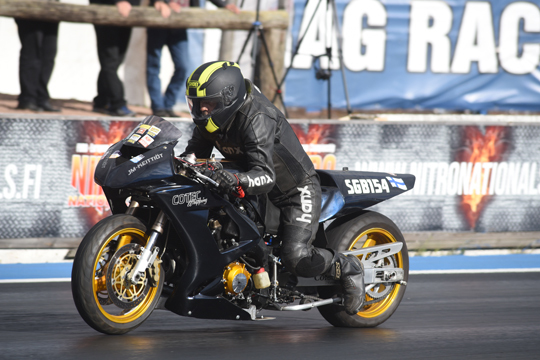 Friday’s number three Anders Hörnström dropped one position and is the number four, with Greger Johansson in fifth. 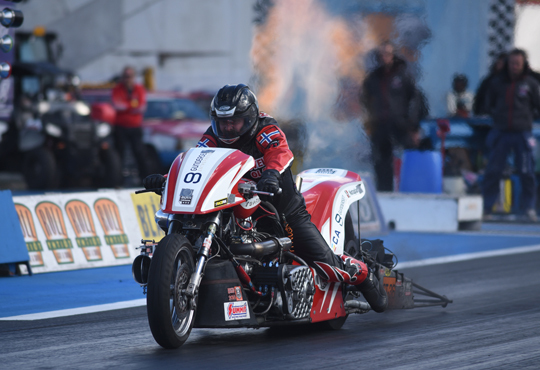 There will be one more qualifying session on Sunday morning, so there might be a few changes in the final qualifying order before the start of eliminations. 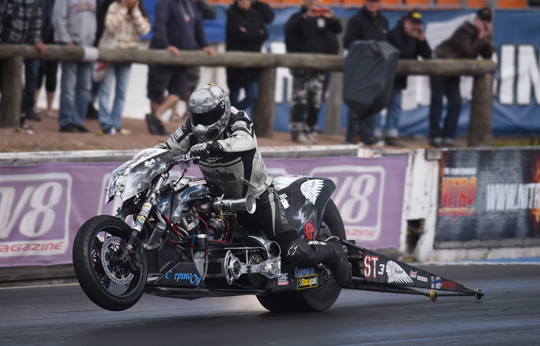 Rikard Gustafsson remained in the number one qualifying position in Top Fuel Motorcycle with his stunning 6.04- second run from Friday. Thomas Pettersson improved to 7.13 seconds and is the number two qualifier. 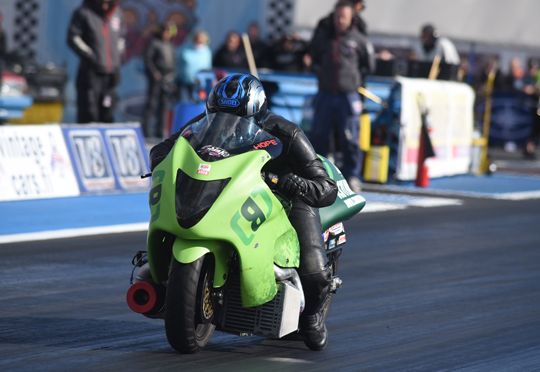 In Super Street Bike Mathias Bohlin reset his personal best twice today to finish qualifying with 7.07 seconds and the number one qualifying position. Vesa Ruhanen impressed in his last run to record 7.32 seconds and jumped into the number two qualifying position. There was also a major improvement for Alex Hope and the British rider is the number three qualifier. Reigning champion Mogens Lund had to deal with some traction problems and is in fourth position, with Robert Nilsson fifth. 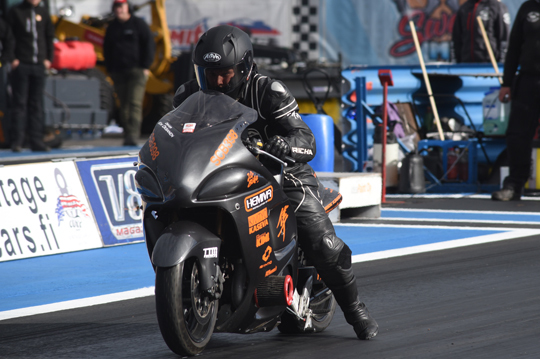 In Pro Stock Motorcycle reigning champion Thomas Lysebraate Olsen was both quick and consistent and remained in the number one qualifying position, with Timo Savolainen second. The two riders will face each other three times tomorrow and the winner of at least two runs will claim the race win. In Super Comp Bike Kim Oksanen is the new leader, with Friday leader Jami Oksanen in second position and Anders Gerdtsson third. 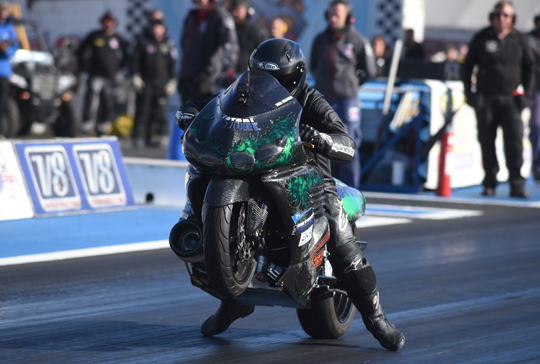 In Super Gas Bike Jari Malinen remained the leader with the perfect index time of 9.500 seconds, with reigning champion Iiro Reinola in second position. 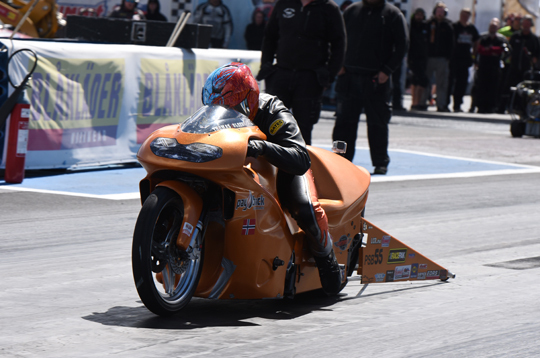 Eliminations for the FHRA Nitro Nationals will start tomorrow morning.